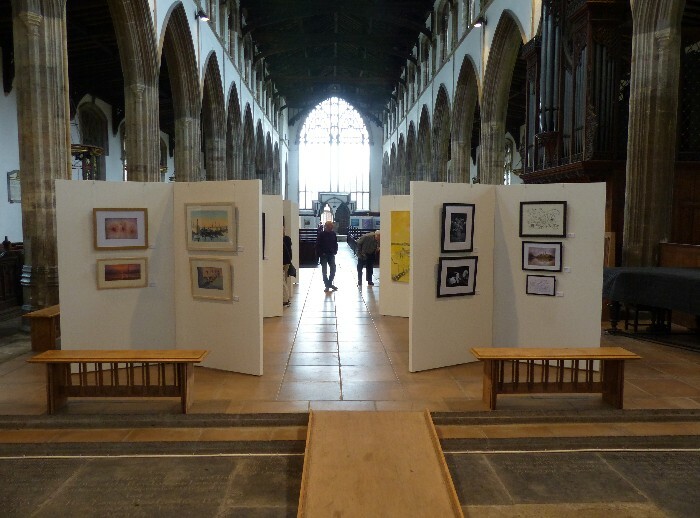 The West Norfolk Artists Association's spring show, with work by many WNAA members. 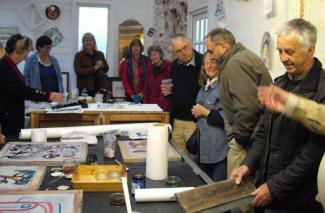 The Association was set up in October 2000 to promote visual art from this area of Norfolk. Now well into its second decade, the WNAA membership numbers over 120 and is open to artists of all abilities, from professionals to students. Artists do not have to live in West Norfolk to belong to the WNAA, but the focus of the Association is very much in this area. 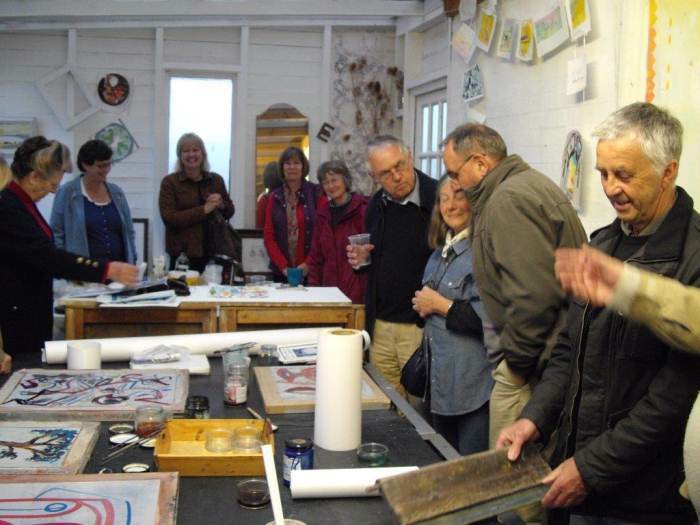 We embrace all forms of the visual arts, and our members include painters, printers, photographers, cartoonists, sculptors, potters, installation artists, and those working with textiles and jewellery. The WNAA is run on a voluntary basis by a committee of approximately ten members, currently chaired by Janette Williams. 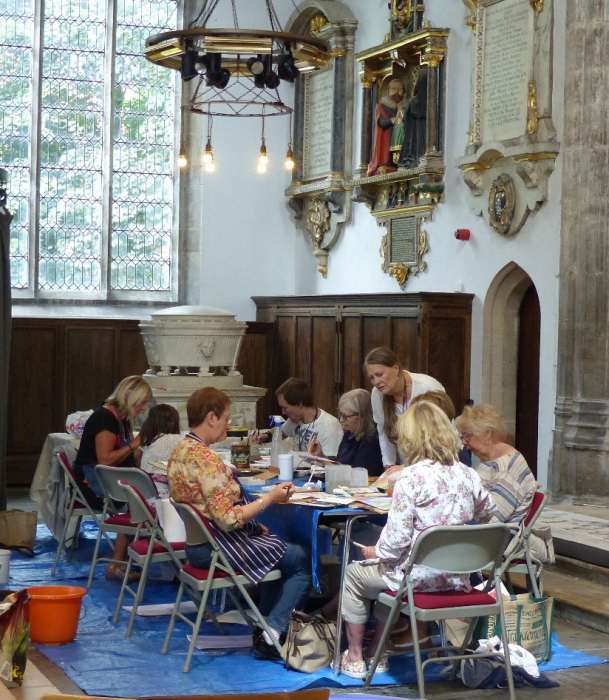 The primary function of the Association is to support its members and to enable them to feel part of a community, rather than just working alone. To this end we have regular monthly meetings, called ArtExchange, when members can socialise and network. These meetings may often include an artist talk, an exhibition visit, or some other arts related activity, including the occasional quiz. 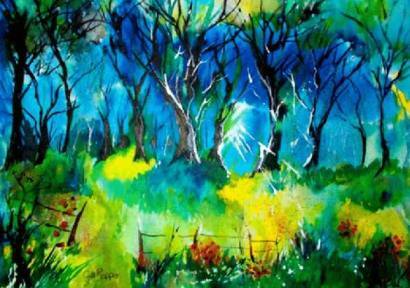 In the summer months we might have a country walk or outdoor sketching session. All the Association's activities, exhibitions and events are published in our monthly newsletter, called Update. This is sent out to members by email, although a small number are printed and sent by post to members who do not have internet access. For those who use social media, the WNAA has a Facebook page to enable members to exchange views and ideas. One of the benefits of being a member of the Association is the ability to promote your artwork, through Association exhibitions and through the Members' Gallery pages on this website. All WNAA members are entitled to their own page in the Gallery, containing images of their work, an artist's statement, and contact details. WNAA exhibitions are usually held three times a year, in the Spring, Summer and Autumn. 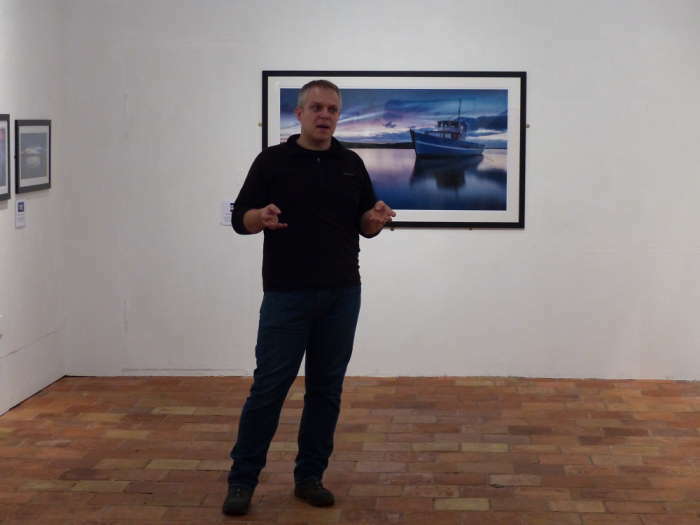 You can find out more about our exhibitions and the Members' Gallery from the links below. The WNAA is always prepared to campaign on behalf of West Norfolk artists if they are faced with cuts in arts funding or other injustices. With the weight of a substantial membership, we can sometimes influence events in a way that would not be possible for an individual.